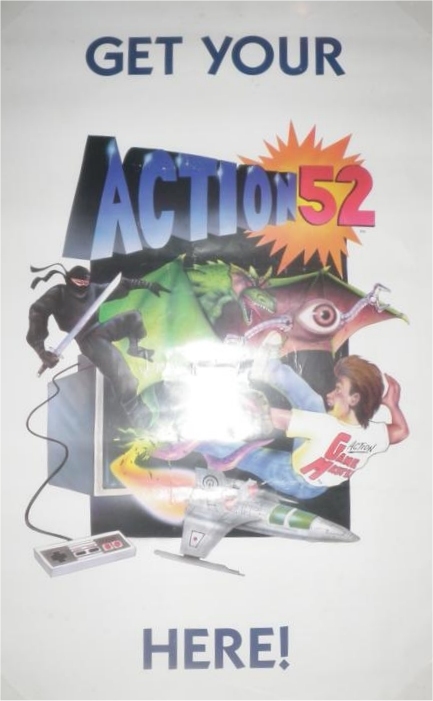 So readers, the eBay auction for the rare Nintendo NES Action 52 Prototype cart has ended. The final numbers ? 10,430 interested, obsessed, or lost people were curious enough to view the auction. People from all parts of the world including, but not limited to, Germany, Austria, Canada, Great Britian, Switzerland, Ireland, Japan, Russian Federation, Belgium, Norway, just to name a few. 50 offers, some generous, some not so generous, but, thanks to all who participated ! Question: Can anyone guess what my first auction question was ? Answer: Some curious gamer asked if they could come to Miami to see the items in person before they get shipped to who knows where. Pictures will have to do, I politely declined. Question: Can anyone guess what the highest offer was ? Answer: Suffice it to say it was a generous offer but it just was not enough to purchase this rare item. Question: Would you have really sold it ? Answer: Yes, for the right price. Question: What's my favorite quote referencing this auction ? "The retail game itself is ultra rare, and this is a prototype. $100,000 is a @#$% ton for it, but when you own one of only two instances of something in the world you don't have to be reasonable." Answer: It's going to be 'safe'ly (pun intended) tucked away for a while. I wrote this in the "The Past" tab detailing my history with Action 52, I have a feeling this is just the beginning. BTW, I don't think I'll be including the one-of-a-kind posters with any future sale. I've really grown very attached to them during the last few weeks. Dont' forget to use the "Follow by Email" service on the right, it'll send you an email with any updates to this blog via FeedBurner.